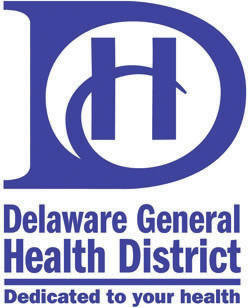 As of Jan. 1, 2018, the Delaware General Health District will be issuing all plumbing permits and performing all plumbing inspections in the City of Powell. The Health District began issuing plumbing permits for Liberty Township on Dec. 4, 2017. Previously, Powell and Liberty Township plumbing permits were administered by the City of Powell. “The City felt this was a great time to transition the plumbing permit process to the Health District and looks forward to working with them on providing this service,” said Powell City Manager Steve Lutz. “We are excited to begin this different process of serving our community,” added Health Commissioner Shelia Hiddleson. The Health District Plumbing Unit inspects new plumbing in residential and public buildings and medical gas installations in Delaware County except in the cities of Columbus, Dublin and Westerville. The Health District Plumbing Unit is located at 1 West Winter Street in Delaware, OH. For more information call 740-368-1700 or visit DelawareHealth.org.